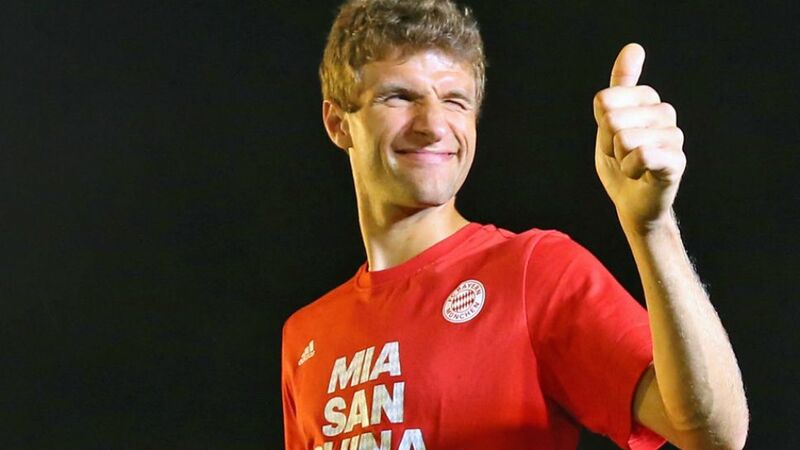 Munich - Averaging a goal every hour and with a Bundesliga-leading six strikes to his name so far in 2015/16, FC Bayern München forward Thomas Müller travels to promoted SV Darmstadt 98’s Merck-Stadion am Böllenfalltor on Matchday 5 in the form of his life. A closer look at the statistics behind the quietly superlative displays of the Bundesliga’s inimitable Raumdeuter (space interpreter) highlights the 26-year-old’s growing importance to the Bayern cause. Last term, he had a direct hand in 27 of Bayern’s 80 Bundesliga goals - a personal best - but just four matches into 2015/16, the seasoned Germany international is already well on his way to blowing those numbers out of the water as Pep Guardiola’s insatiable ensemble look to become the first team in history to win four successive Bundesliga titles. Above all, however, last weekend’s derby triumph ensures second-placed Bayern remain one of just two sides - along with current leaders Borussia Dortmund - to have won all four of their Bundesliga assignments so far this term. While the Klassiker combatants do not meet until Matchday 8, history suggests that as long as at least Müller keeps scoring, it should only be a matter of time before the record German champions usurp their great rivals at the top of the standings. There are countless reasons why Bundesliga sides have been asking themselves the decade-long question of how to stop Bayern, but with the Bavarian giants victorious in their last 41 Bundesliga matches in which Müller has found the net, putting the shackles on the club’s ostensible win-guarantor could be half the battle.